Why did this question on meta, where one - as the help center says - can ask things to improve their attitude to stay well and better on ELU, get 4 down votes and no answer? How does it works this community? 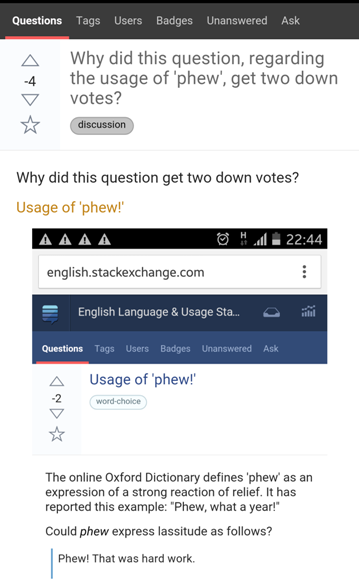 Downvotes on meta are more an indication of disapproval or disagreement than (as on the main site) "not useful"; they do not affect your reputation. But each downvoter has his own reason, which is not vouchsafed to the rest of us; there is no way that anybody can tell you the reason for any particular vote. If you made an honest attempt to improve, some of us might make suggestions; but demanding explanations, ignoring a request to post links rather than screenshots, and not bothering with basic grammar, are no way to ask for help. All this has been said before, and most of it is on the help site: somebody who has been here for 3 years really should not have to ask a question like this.